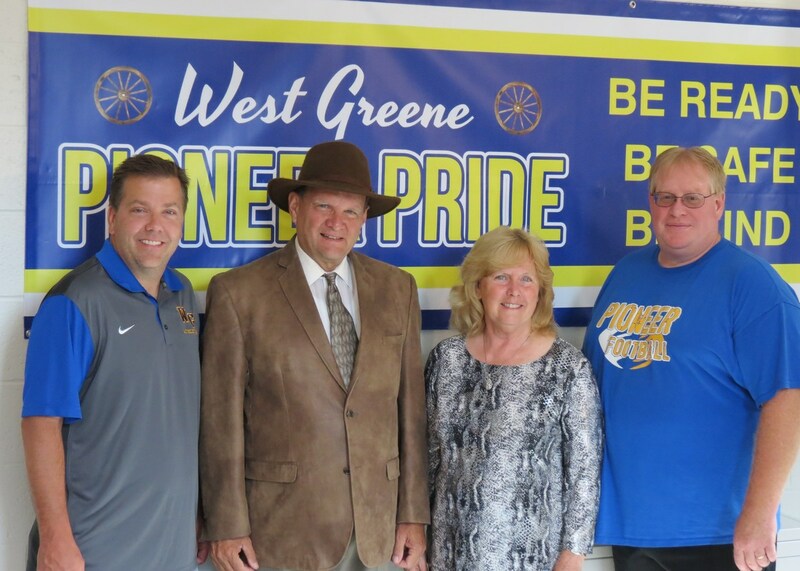 West Greene School District would like to thank JesMar Energy owners, Mark and Jessie Leidecker for a second year of sponsorship of the Life Skills Substance Abuse Prevention program. It will be taught in Grades 3 through 9 again this school year by Mrs. Berry in Elementary and Mrs. Shinsky in Secondary. This important award winning program is supported by research evidence. It is designed to bring both critical knowledge and decision making skills to students, to reduce the risk of substance abuse and reinforce the importance of making good, healthy choices. Two West Greene GCCTC Culinary Arts students were part of a team that competed at the State FCCLA Leadership Conference and qualify to compete at the FCCLA National Leadership Conference. Brody Miller and Sydnee Watson, along with Carmichaels student Haley Hice, won in the Entrepreneurship category for a year-long project that focused on reinventing a former restaurant, using STEM and principles of business and leadership. In their reinvention, the students envisioned an eco-friendly, farm-to-fork establishment that serves locally raised beef and produce and is powered by solar energy. The students had to conduct feasibility and income studies, research laws and regulations, prepare a business plan, design a menu, outline hiring procedures and emergency plans, and prepare a 12-month budget. As part of the competition, the team was required to give an oral presentation and PowerPoint, and they were judged by a rubric to ensure consistency. In addition to advancing to nationals, these students each were awarded $10,750 in scholarships for being the highest scoring team in the Entrepreneurship category at the state level. The students spent many hours outside the classroom working on this project, which fostered leadership and confidence in its participants. The FCCLA National Leadership Conference is July 2-6, 2017, in Nashville, Tennessee. Congratulations to Brody, Sydnee, and Haley for their achievement! 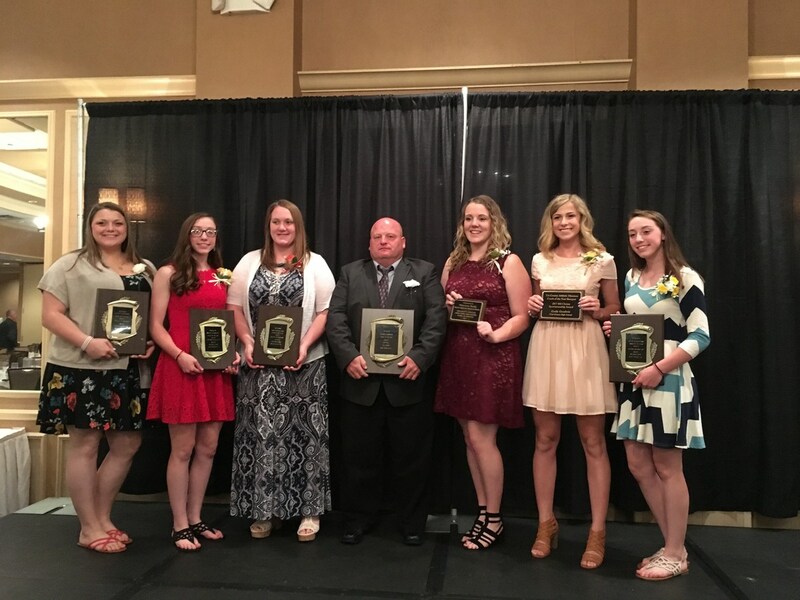 Six student-athletes and two coaches were honored at the annual TRICADA (Tri-County Athletic Director’s Association) Coach of the Year banquet. Two graduating seniors won TRICADA scholarships. Emily Goodwin won the $1000 Bill Christy Memorial Scholarship, and Marissa Rode was a $500 scholarship runner-up winner. Bill Simms was named Softball Coach of the Year and was recognized for his efforts in leading West Greene’s softball team to the PIAA state championship finals. Jordan Watson was one of three finalists for Girls Basketball Coach of the Year. Although he did not win the title, Watson coached the West Greene Girls Basketball team to a history-making season. Congratulations to all of West Greene’s TRICADA honorees!